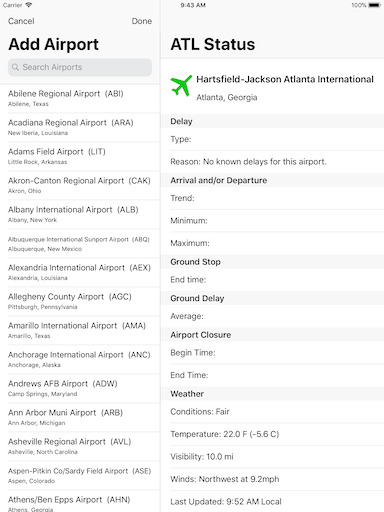 Airport Flight Delay - USA version 3.2 available in Apple App Store. 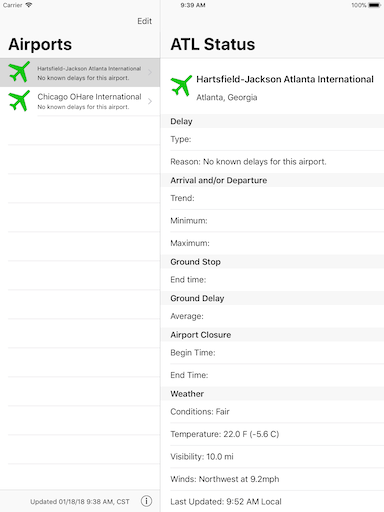 Airport Flight Delay is a universal iOS app that provides information on the types of delays an airport could be experiencing along with weather conditions. This screen allows the user to delete and / or change the order of the airports in the list. This screen allows the user to add an airport to the list. 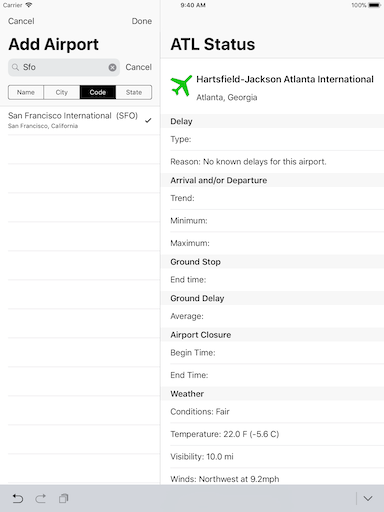 The user selects the airport from the list of valid airports on the left table pane. The table can be searched by airport name, airport code, city and state. This screen the user has searched the table by airport code SFO. Also the user has selected San Francisco International Airport from the resulting list of airports. This screen shows the newly inputted airport (SFO) added to the list. 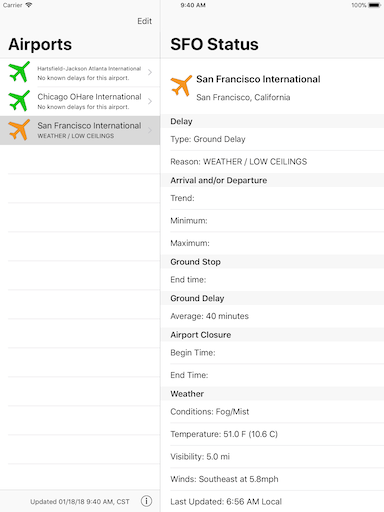 The airport delay information has been retrieved and San Francisco International Airport is selected showing the delay type as ground delay (orange), delay reason is weather / low ceilings with an average delay time of 40 minutes. 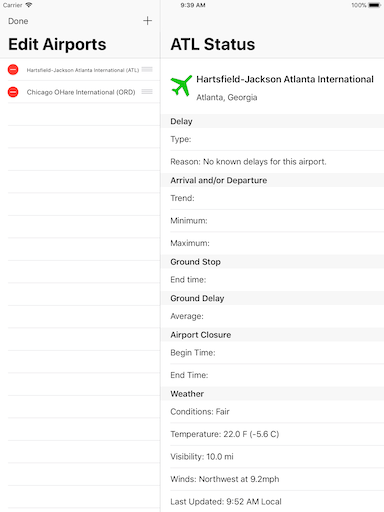 The weather reported for the airport is also displayed on bottom right of screen.